If you have a Mercedes SLK R170 with a 320 engine it's almost exact the same. 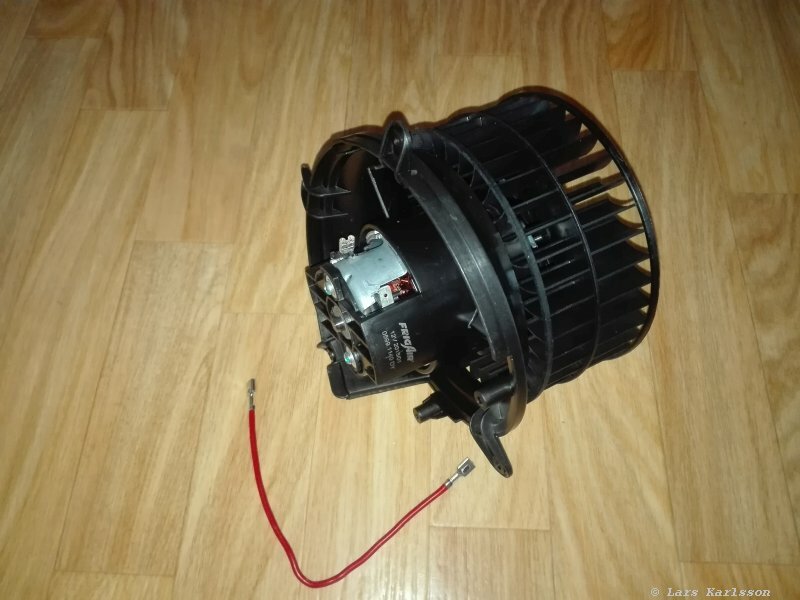 You have to work with the electric parts when doing a replacement of the blower. Disconnect the battery! When disconnecting the battery the alarm and radio will be reset, be sure to have any codes that's needed! My heating blower stopped working now when the winter arrives. Why must it happen now, couldn't it been during the summer? 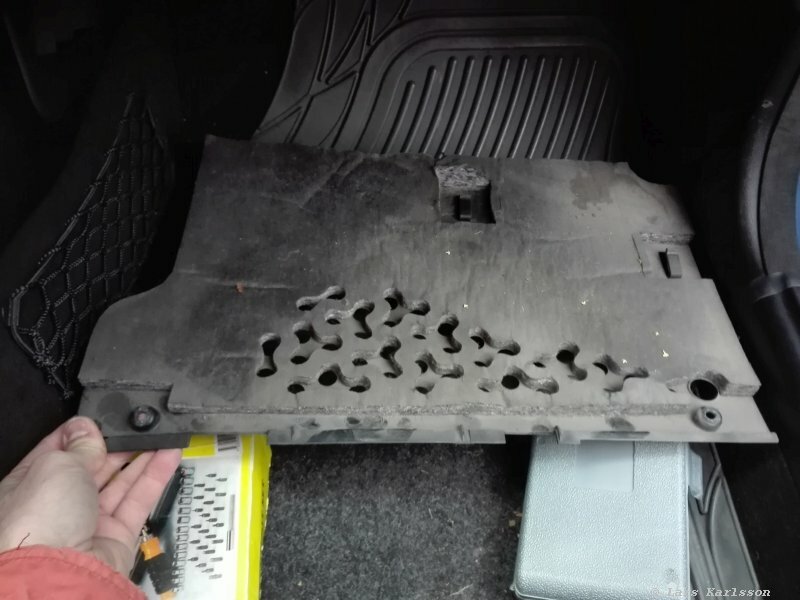 A typical problem after what I have read about Chrysler Crossfire and Mercedes R170 is that the heater blower fan stop working, after driving the car some minutes it could start again. Normally it's the brushes that are worn out. You can replace these brushes but what I have seen a pair of these cost 25 Euro and a complete blower 60 Euro. I ordered a new blower. After a couples of days the new blower arrived. Always nice when got a new box of stuff delivered home. Included with the new blower was a short red cable. There are two version of this blower, one for right hand drive cars (UK) and one for left hand drive cars (US). 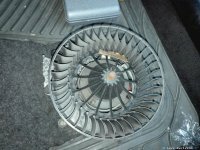 This blower you also find on the Mercedes SLK (R170) and lot of C and E class cars, normally between 1997 to 2004. Check carefully that it really fit your car! 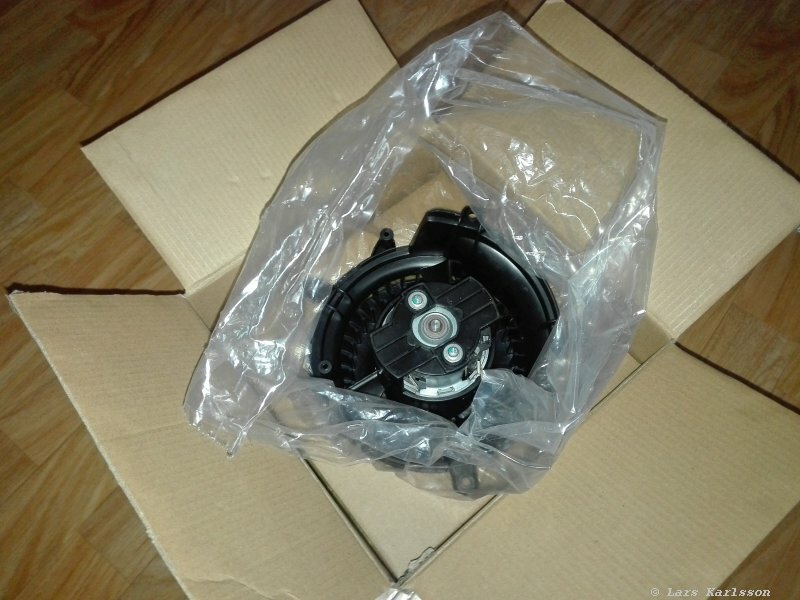 I normally buy Mercedes part to my Crossfire, it shares the chassis with Mercedes R170, it's much easier to find when you live in Europe. My car is left hand drive. What I have seen on photos the right hand cars blowers are like a mirror of the left hand blowers, perhaps the motor rotates in the opposite direction as well. 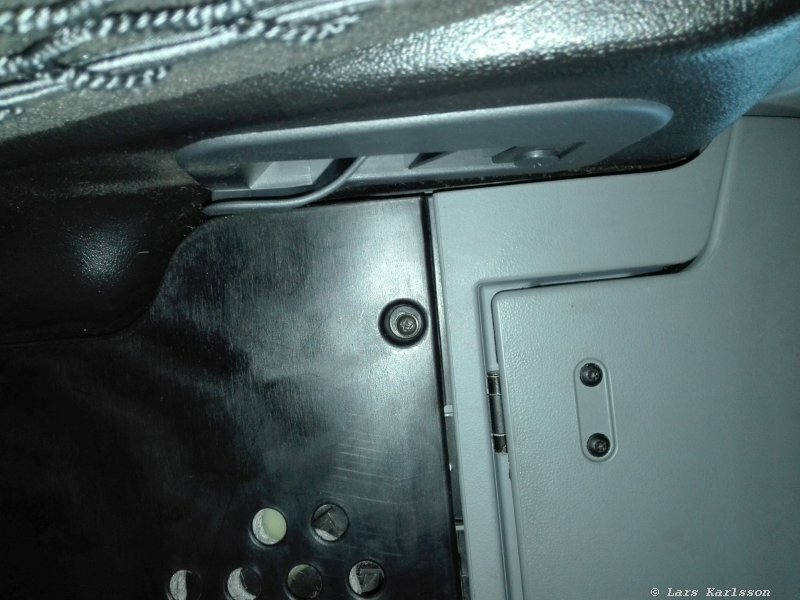 To reach the blower you have to take away the cover lid under the dash at the passenger side. Unscrew the two screws to the left and right. Looks to be pozidrive screws. 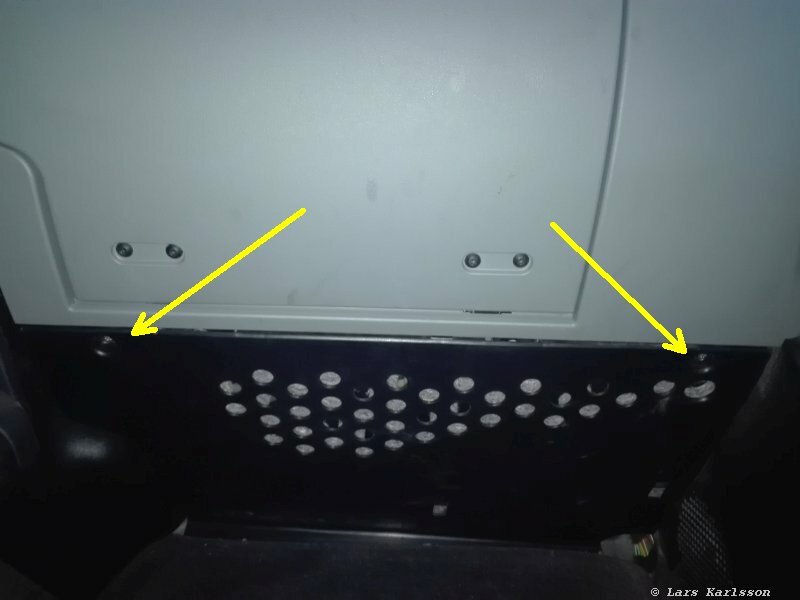 With the screws away, push the cower lid back (towards front of the car) a bit and then tilt the frontend down.